But let’s have a little background first. In late October, I went to a festival (Yestival) full of people who were, as the cliché goes, ‘living life to the full’. The principle behind the festival, indeed the whole movement, is to “Say Yes More” – that is, saying ‘yes I can’ to yourself more; when you have an idea, no matter how minor or outlandish, believe in your own capabilities of being able to do it. There were people there who revelled in their achievements; from having picnics on the beach with their 7-year-olds, to walking from Germany to Tibet; from cycling around Eastern England with maps, clothing, equipment, and a bike from the 1940s, to helping out in refugee camps in France. 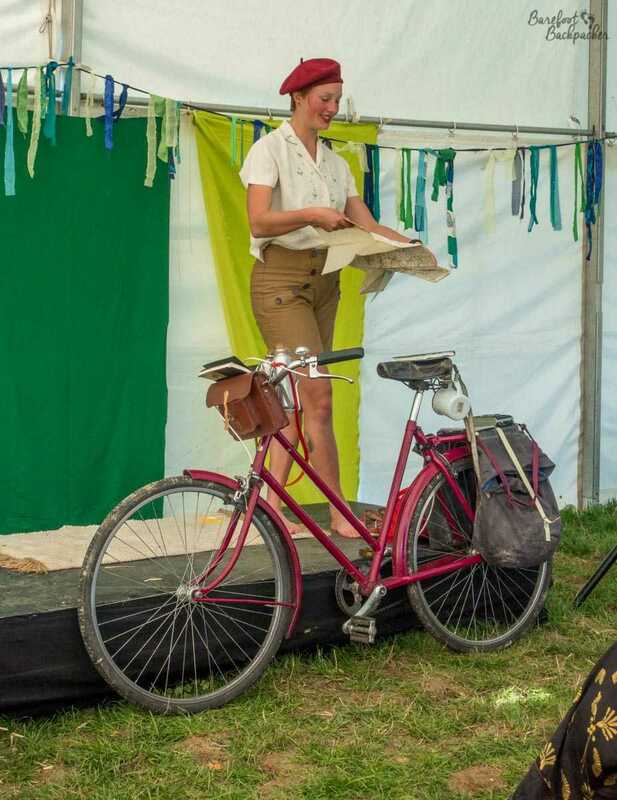 Helen Proudfoot‘s “Rayleigh Raleigh Raleigh Rally” – cycling round Eastern England pretending it’s the 1940s. It had been on my mind to do something a bit … outlandish for a while, probably involving a long walk. 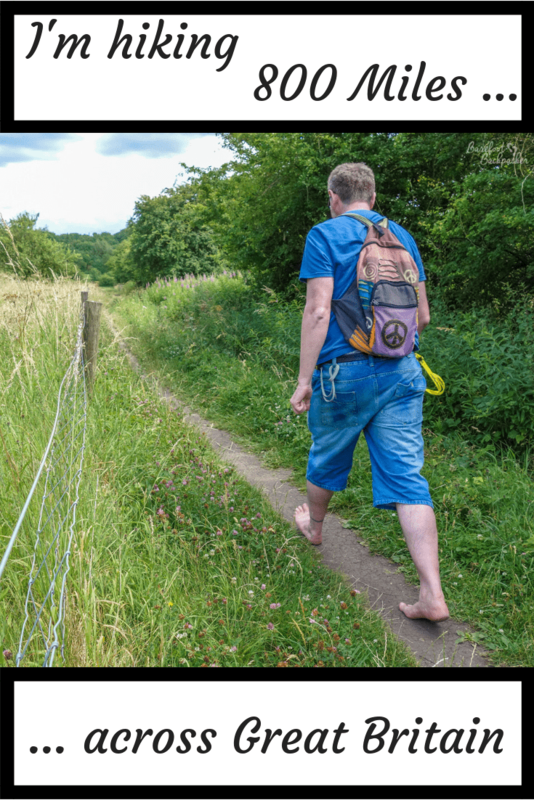 The traditional idea of hiking along the Camino De Santiago from the Pyrenees to Santiago De Compostela in Northern Spain – the old pilgrimage route – had been in my mind for ages, but I fancied doing a little bit different. Before I went to Yestival, I’d had a silly, throwaway, idea of hiking across Great Britain; everyone knows about Land’s End to John O’Groats, the traditional walk from not quite the Southernmost point of Great Britain not to quite the Northernmost, but I felt that was a bit ‘old hat’. My thought was to go West to East, from close to Ardnamurchan Point in Scotland to Lowestoft in Suffolk, partly because no-one ever does that, and partly because, uhm, I figured it would be shorter. Going to Yestival inspired me to turn this silly idea into reality (alcohol was not involved in my decision), so I left with a strong drive to make it happen. 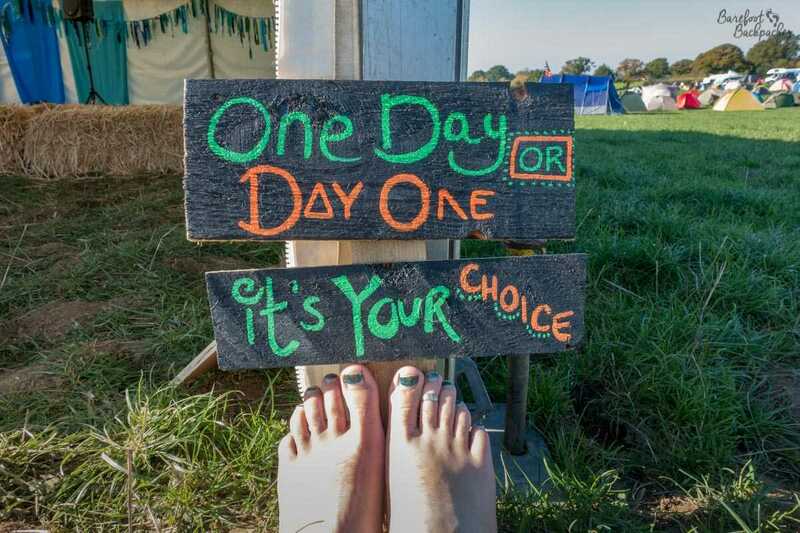 One of the (many) cheesy motivational signs at Yestival. Within only a couple of minutes of raising the idea, not only did I have a hiking companion but she had already started planning the route and what we’d need to do. As one of life’s edge-livers, having someone skilled at organisation is something of a godsend. Oddly, the only photograph *I* have of the two of us together, and yes I am wearing shoes. Bite me! As things currently stand, we not only have a plan, but that plan consists of a defined route, a pretty complete timeline, an equipment list, and a number of other things that I simply would never have thought of. We plan to set off on Monday 20 May, and we estimate the whole trek will take almost exactly two months – trekking then in summer and taking advantage of as much daylight as possible. Obviously the idea of hiking across Great Britain isn’t one to be taken lightly, so even someone as last-minute and disorganised as I am need a bit of a framework. Interestingly, we’ve decided to hike East to West, rather than my original idea of West to East. 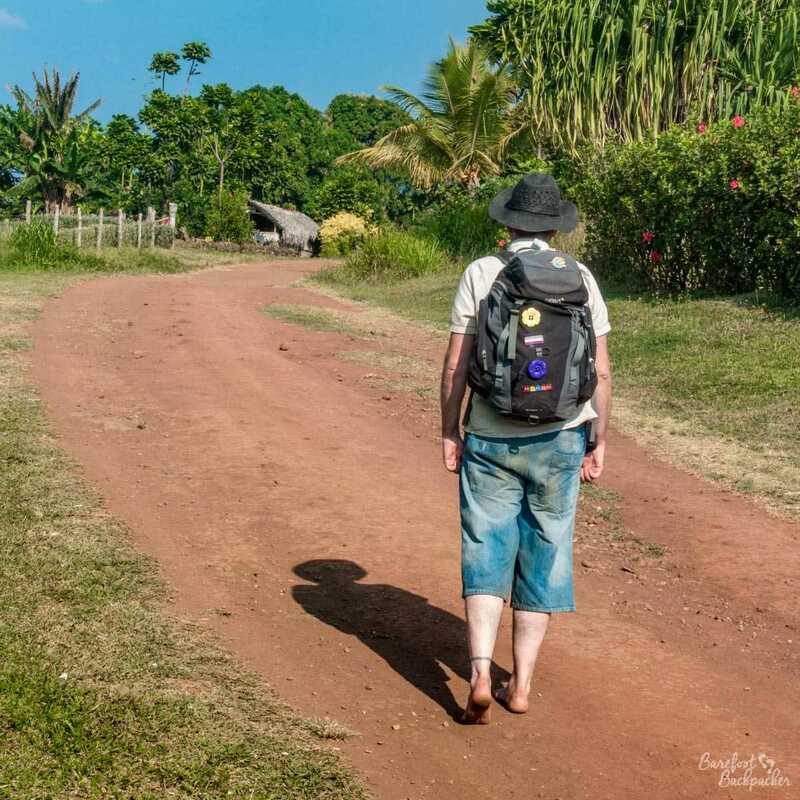 There’s a couple of reasons for this – it makes the start of the trek the easy bit, so we have a comfortable introduction to the trek, but more importantly it means as the trek is mostly Northbound, we’ll have the sun behind us rather than in our eyes. So we start in Lowestoft (Suffolk) and end in the wilds of Western Scotland some time in late July. Our aim is to walk as much as possible on long-distance footpaths, rather than on the roads. Our reason behind this is it will make the hike more interesting, as well as meaning not having to battle traffic all the time – some of the paths do run alongside roads but only for short distances, and the scenery elsewhere more than makes up for this. The problem is that it lengthens the route from a Google Maps estimated 530 miles to somewhere just over 800, interestingly making the distance we’ll travel almost as long as doing the Land’s End to John O’Groats route … Our aim is to hike just over 15 miles a day on average, though we’re expecting the first part of the journey to be quicker. Of course we can change our plan as we hike, and we’ve factored in ‘rest days’ in convenient places so we don’t burn out. Long Distance Footpaths like these, in fact. 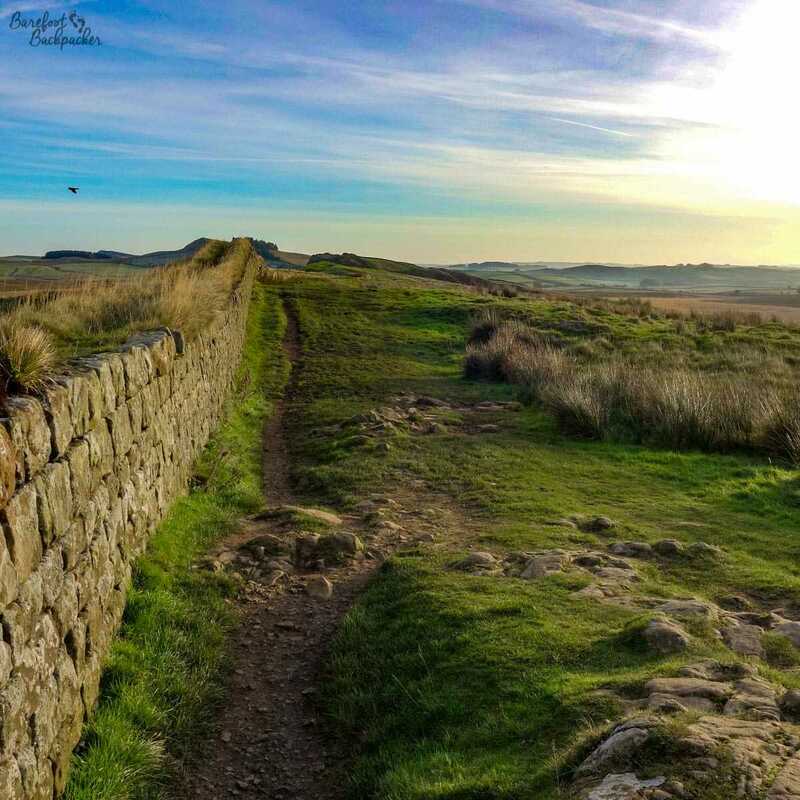 This is Hadrian’s Wall, near Housesteads, and this will be on our route, just past the halfway point. * Norfolk Coastal Path – we toyed with the idea of going straight across Norfolk but we think this will be more interesting, as well as only about 7 miles longer overall. 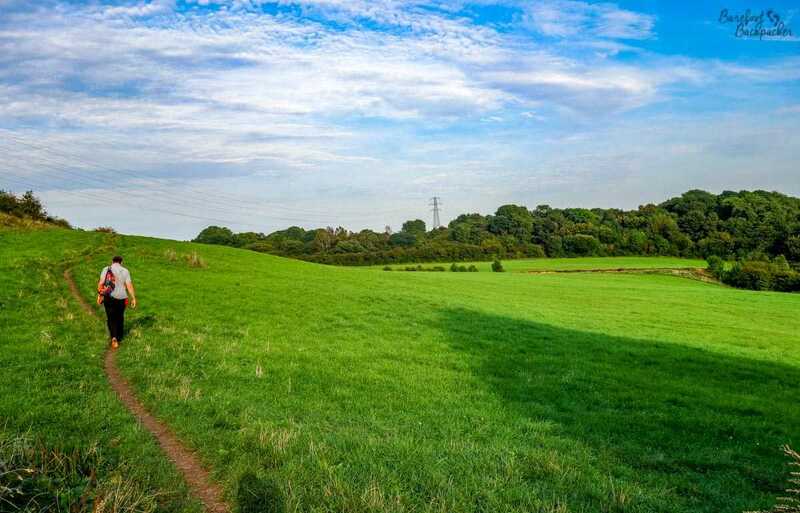 * Nene Way – this will be the most boring of the sections, simply because we’ll be walking alongside a couple of incredibly straight roads through the flattest part of the UK. * West Highland Way – again, all of it, possibly with a short detour at the end to climb Ben Nevis. Because it’s there, and we can. The last three days across the Ardnamurchan Peninsula we haven’t quite worked out yet, but however we do this bit, it’ll be awesome – so picturesque. One thing we haven’t sorted out officially yet is accommodation – I mean we’ll certainly be camping at some points but we’ll also be making use of B&Bs, guesthouses, AirBnBs, couchsurfing, etc. Pretty much the most convenient thing we can find. My mind goes back to a friend of mine and her then boyfriend who were camping in Cornwall, and I got a phone call at around 2.30pm going “Ian! I need you to find us a hotel near Lanarth! The rain is horizontal!”. We are, of course, open to people offering us a place to stay in return for help around the house or cooking or the like. Especially if you like curry. Hiking in Vanuatu, the only other place I’ve really done an intense multi-day hike. Now, I’ve obviously never done anything quite this major before; I know I can walk 15 miles a day, but I’ve no idea if I can walk 15 miles a day over a period of weeks rather than days. In addition, apart from a couple recently on Vanuatu, I’ve never even done what you’d call a multi-day hike before, never mind something of this intensity. We’re going to take a couple of short ‘practice’ walks over the course of the next few months to test out equipment and see how we feel in a proper hiking setting – indeed we did a couple of initial day-hikes this week (early December) in the Peak District, just to get an initial feel about how we worked together with walking speed, map-reading, etc. And first impressions are good – we didn’t argue at least! It’ll also be very strange to go hiking with someone. Usually I travel solo, so spending even a couple of days with a travel companion feels a little weird to me, never mind two months. But she also usually travels and hikes solo herself, so hopefully everything will work out. I tend to naturally walk quicker than most people, and obviously we’re going to have separate tents, so if we do get angsty with each other for a bit, it won’t be a problem to camp separately for a night or so. That said, we’re also definitely open to people joining us on our trek. Whether you join us for just a mile or so, or a couple of days, we’re more than happy to have people tag along. It’s a great way to meet people, and it would be lovely to explore some of the British countryside together. One question that came up in our early planning was ‘should we raise money for charity’. Now, I know for many people, the whole reason for doing something is for the charity aspect, and the knowledge they’re raising money for charity is the sole reason they are miserably walking along a steep uphill trail in the rain, or thinking in the plane up before their parachute jump ‘I don’t want to do this’. Be aware, therefore, that I originally had no intention of connecting this walk with charity fundraising. I’m doing this walk purely because, well, I can. And it might be fun. Possibly except for the bit around day 7 when we’re hiking across The Fens down perfectly straight roads surrounded by completely flat scenery. At least the hills later on in the route will be pretty, interesting, and challenging. 800 miles of this would be lovely. However, I fear it won’t be anything of the sort! However, I owe Sandwell MIND £238 following the closure of an old social group I was chair of back in 2005, not long after we had a charity slave auction. “The money was just resting in my account” … Interestingly the task I was bought for – gardening never happened as the couple that ‘bought’ me broke up not long after and they ended up with other things to worry about. After a failure to do the Great North Run in 2012 because of injury, this is the next big charity thing I’ll have attempted. I have a JustGiving page here, if you want to donate. And why MIND in the first place, notwithstanding my long-standing financial debt? Well, to be honest, if you concentrate on some of my tweets or listen between the lines on previous podcasts I’ve done, it should be clear it’s a natural place for me to go. I mean, despite how it feels sometimes I know my mental health isn’t anywhere near as precarious as several of my friends’, but the very fact I refer to my friends in that sentence is justification enough for it to matter to me. I’d love to know if you have any questions about my plans, whether technical, logistic, or just plain ‘what?’ type questions. I’ll collate a few and go through them in a future blog post or, more likely, podcast. We’re well on the way to creating a definitive list of equipment we’ll need; once we’ve settled on a couple of sticking points (in my case, it’s “can someone who’s 1m90 fit into a tent and that tent still be lightweight and easy to carry?”), I’ll post further details. But to answer one ‘statement’ (not even a question, more an assumption) that several people have wondered, rhetorically, yes I’ll probably endeavour to do as much of the hike as possible barefoot. Because me. By way of contrast, Becky herself did a blog post about the trek plans. You can probably tell our different styles of writing, and thus personality, right there! Good luck – what a great challenge. Look forward to following your adventure together across the Uk… nice to know you won’t have the sun in your eyes 😉 and hopefully, it won’t be as hot as it was this summer. Omg I WANT TO GO!!! This is so cool, really I think if I was overseas in that timeframe I’d be hitting you up to tag along. Will you be posting as you go, or doing a summary recap afterwards? I’m especially interested in the Scottish sections.